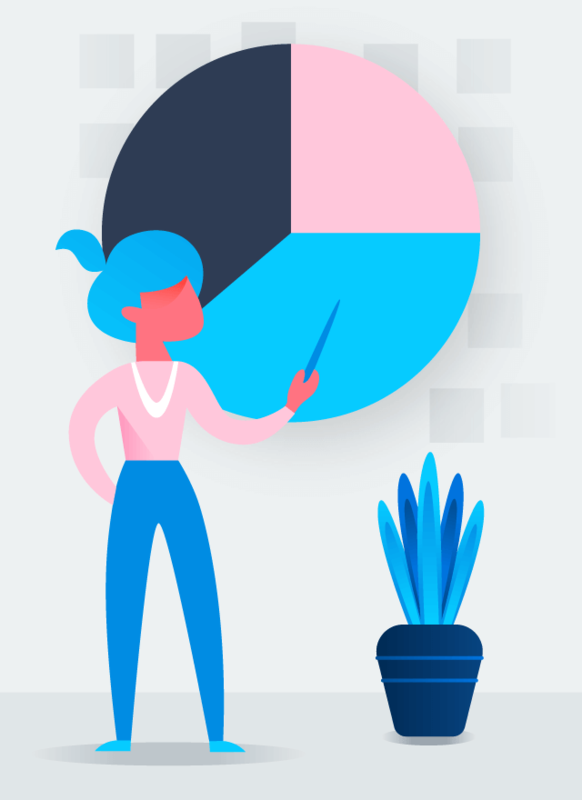 Get a tool that’s easy to use and helps all teams in your company manage projects from start to finish—so you can hit deadlines and achieve your goals. How does Asana compare to Workfront? 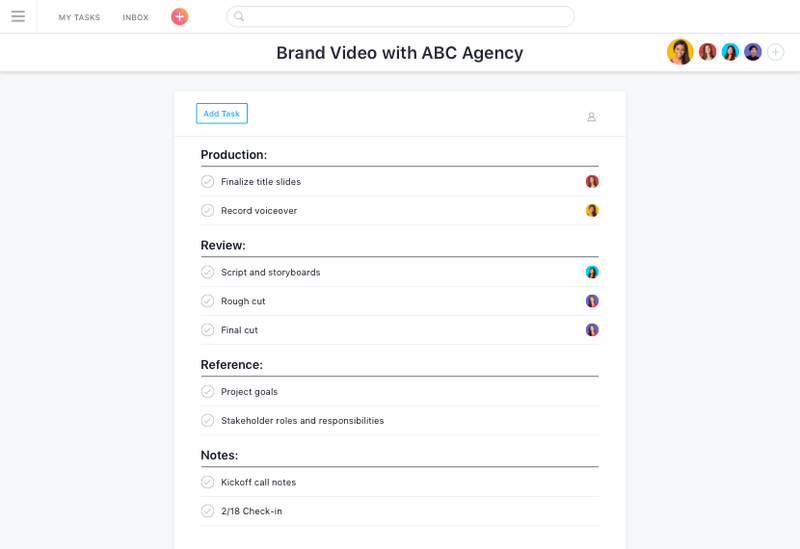 Start managing your team’s work from day one in Asana, no complicated setup or training required. New features and updates are released regularly to help your team be more successful. 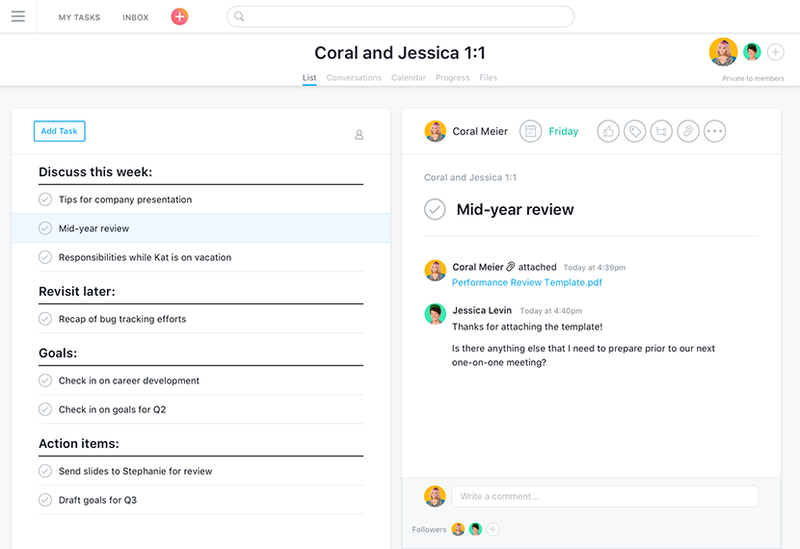 Customize Asana to manage all of your team’s project and processes in the layout and view that works best for you. 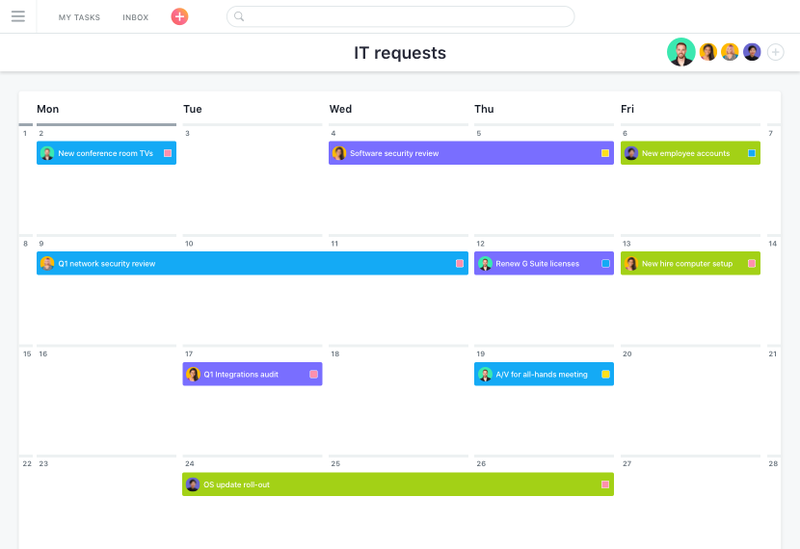 Unlike Workfront, Asana makes it easy to get up and running, so your team will actually use it to track and manage projects. They might even love it. 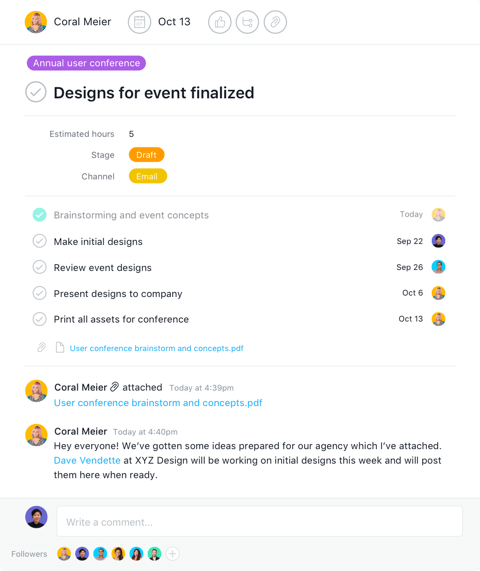 Communicate about work with team conversations, project status updates, and task comments directly in Asana. 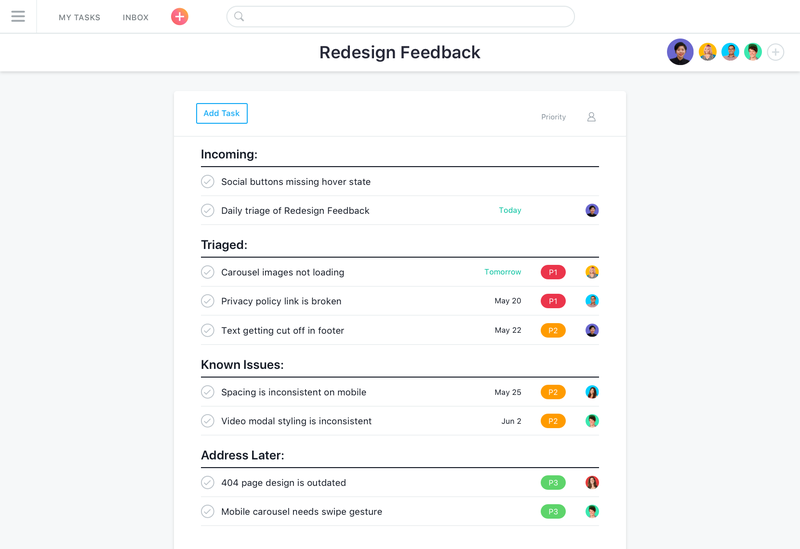 Plus, connect Asana and Slack to turn conversations into trackable action items. 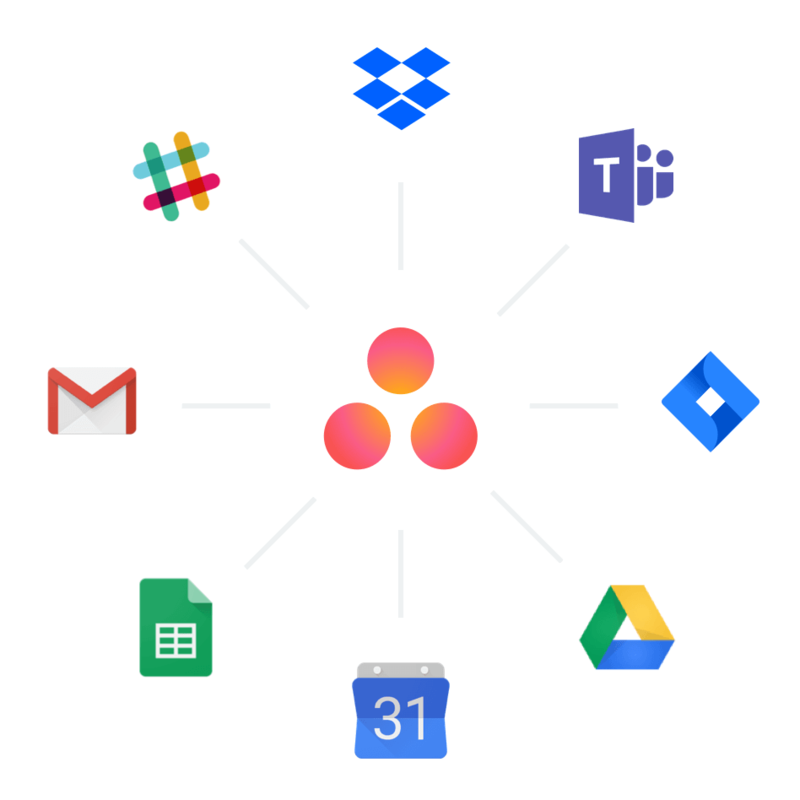 Make Asana your system of record by tracking emails, files, tickets, and more in Asana with over 100 integrations. 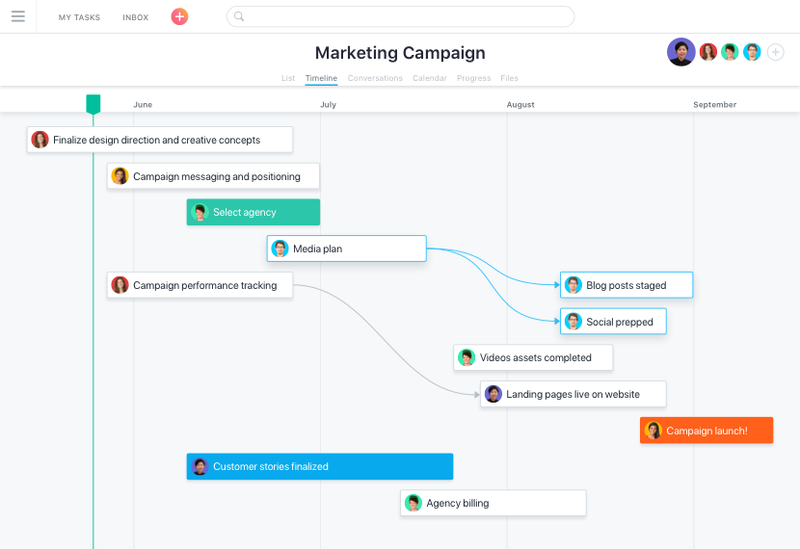 See how all the pieces of your project plan fit together on Timeline, so you can spot problems before they start and keep work on track—even as plans change. 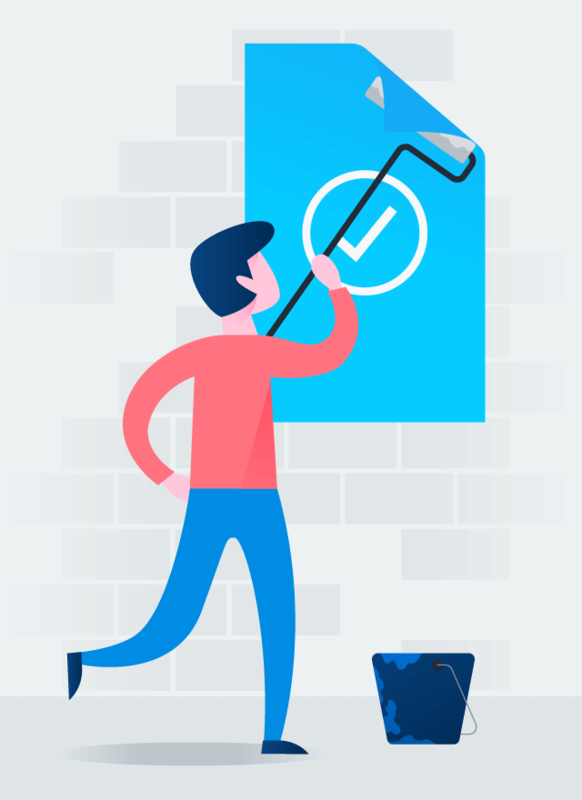 Go beyond tasks and track all of the information that’s important to your team and workflow—like approval stage and priority—with custom fields. 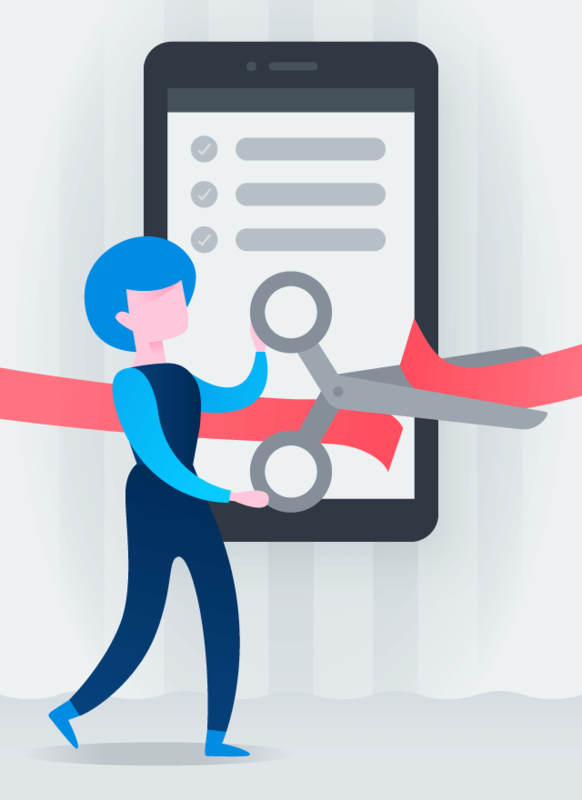 Set up projects, manage processes, and track your work in the way that fits your team’s needs. 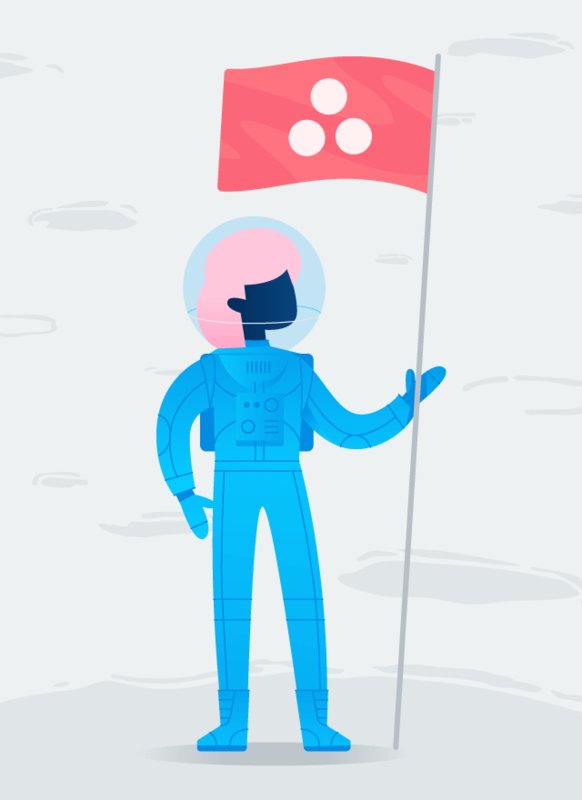 Asana is the project management and organizational tool that meets my needs best. Compared to other tools, it is super easy to use, with the quality of your work not suffering from that. The interface is user friendly and easy to navigate. It also enhances collaboration. Import your work from Workfront or spreadsheets into Asana with our CSV importer so you can get set up quickly and transition your team smoothly. 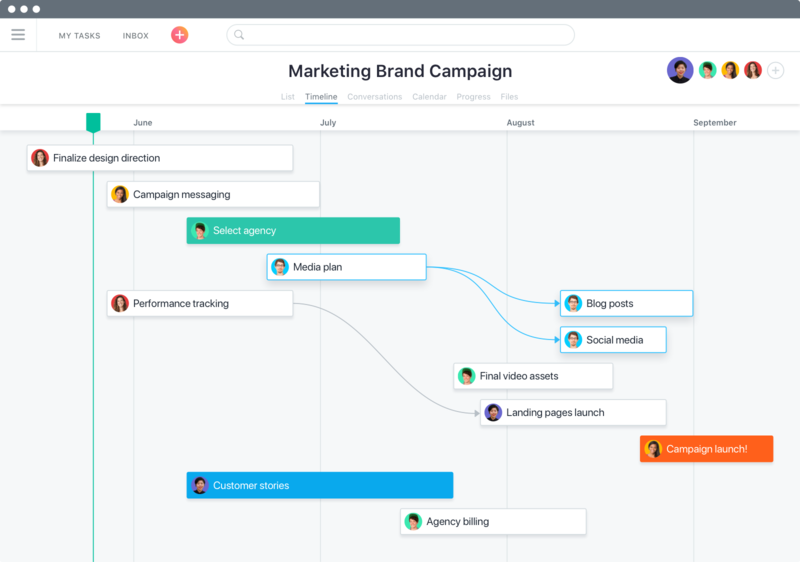 Asana is simple enough for everyone to use and has the power you need to collaborate and communicate about work—so you can achieve your goals.